Are you owning a multi-user website and want to manage the roles of the users? If your answer is yes! Then, you are landing at the right place. Because, in today’s blog, we are going to define some of the best User Management PHP Script which can be easily encapsulated into your existing or new website. By using these scripts you can manage all your user’s & member’s roles and capabilities without any complications. You can add users details, define user’s roles, delete their account without deleting their posts and a lot more. In fact, some of the scripts in this blog provide you an HTML email option for better email designs with which you can send emails to your users in a unique manner. Also, you can add timestamps on your website to identify at what time & date your user logged into your website. Now, these are the key features of overall products, if you want to know more about them then go with all the products one by one. You can also visit another PHP blogs we’ve got for you which might be helpful for you! Xavier user management PHP Script which allows you to easily protect your web pages or contents via login status, group status or group level status. The script can easily get encapsulate into your existing website. The administrator allows you to manage your users and various site setting. As an admin, you can easily add, edit or delete any of the users or users groups whom you no longer want to add in your site. Xavier records each individual’s login sessions, registration date, IP address etc on its dashboard. It provides a welcome email with which your customer will get a welcome notification if they get registered into your site. The product contains a section where you can record your most ever users logged in details. You can turn off/on multiple logins from the same account if required. You can get this most affordable product at only $20 only. Vanguard is one of the best popular user management PHP script which is best suited for any kind of PHP powered website. It allows you to quickly add & enable the authentication and user management functionality into your website. The script comes with fully documented JSON API which allows you to easily authenticate the users from your mobile device or any of the application. By adding the script to your website you will be able to provide your user a secured registration & login functionality, social authentication by using Facebook, Twitter, and Google+ etc. 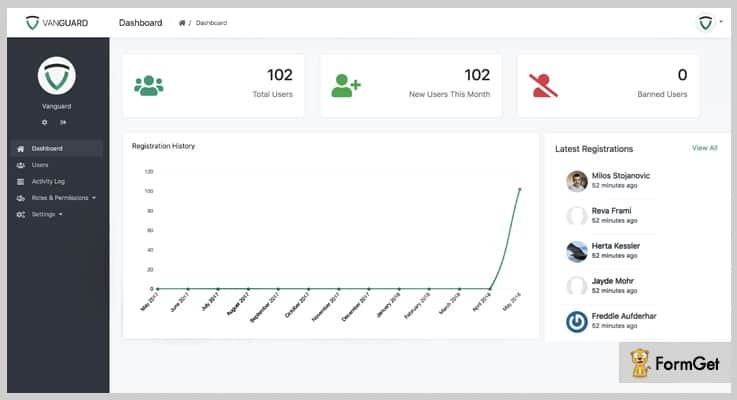 On its dashboard, you will be able to manage all the related tasks such as total users details, new users this month, banned users, and registered users details. The product allows you to view the overall registration of users via graphical format on its dashboard. You can also view the number of active users on your site along with their logged device, IP address, browser etc. Vanguard supports form validation for both client as well as server side to ensure that login data of your user entered are correct or not. Just pay $29 and get all the above-listed functionalities of this product along with 6-months support system. With this PHP script you will get multisite compatibility and unlimited features that help you to perform effective user management tasks. By integrating this script into your existing website you can create a private user area where they have to be logged in to your website to view the page content of your site. It comes with lots of amazing features which are really useful for your users such as custom signup fields with which you can collect more data about the users during the registration process. You can add timestamps on your website to identify at what time & date your user logged into your website. 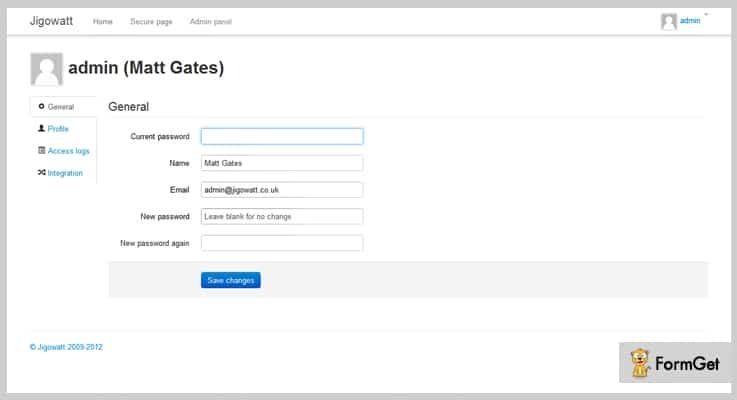 With the help of this product, you can customize all outgoing emails with shortcodes. It comes with an update tracker to check if any updates are available to the script. It also allows you to view the list of recently registered users on your website. Get all the above-listed features of this product at $28 only. CIMembership is the top class user management script which comes with a variety of options like the inbuilt installer, user groups, powerful admin panel, email verification, HTML emails etc. 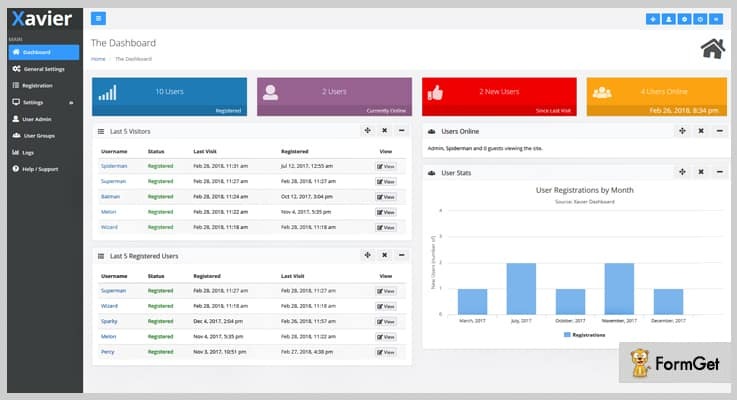 It provides top-class facilities to manage and create user roles with ease and also you can observe your user’s role from the dashboard only. It provides email verification for new users if they get registered into your site. 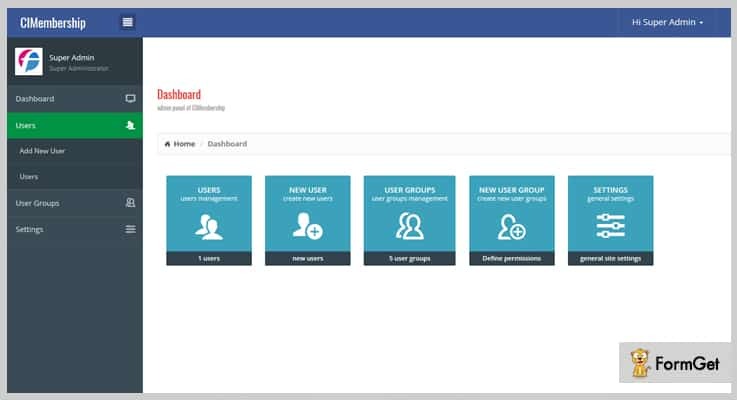 All sessions like total logged in users, active logged in users their time & duration are stored on a database. With the help of this script, your users are allowed logged in users to edit their profile. At $23, you will get all its necessary attributes which are listed above along with various advanced features. It comes with a drag & drop functionality with which you can customize your site anytime. You can send emails via PHPMailer local or via SMTP safely & easily. It provides a complete statistics of overall your user management task on your website. The script comes with a reCAPTCHA integration which helps you to protect the websites from spam and abuse contents. For all the above features & functionalities you need to pay $16 only. Pro Login is an advanced & secure PHP user management script that offers a secure user management system. It is the perfect application to build your website which allows your users to get registered on your site. It contains HTML filter to protect against XSS attacks which is a type of malicious code. It provides an option for the users to register their accounts via using their social network accounts as well. 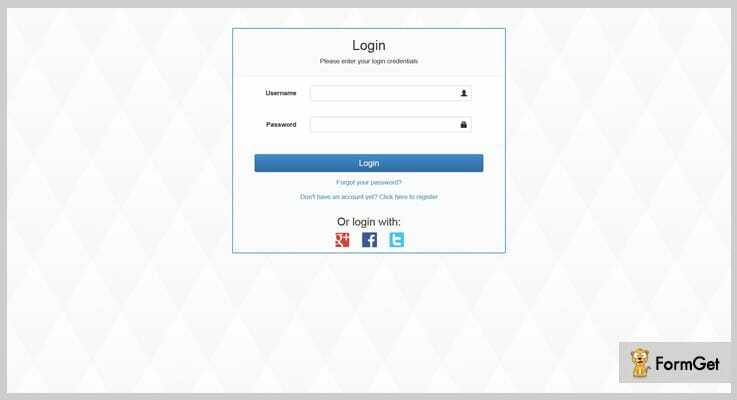 Pro Login allow you to create custom fields for getting extra data about your users. 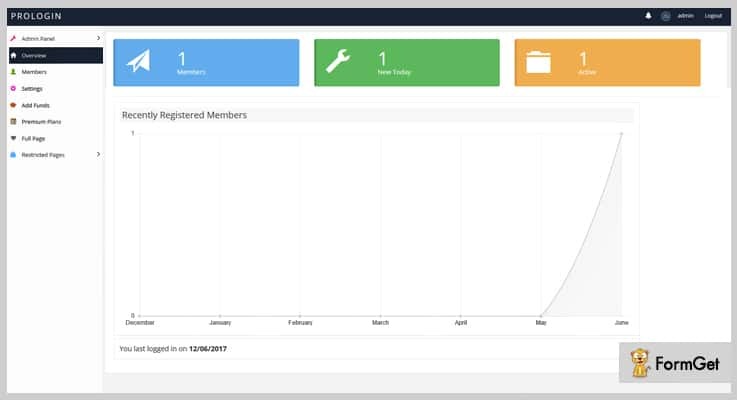 It can display the members that have registered in the last six months via a graph format. The script contains email templates which makes translating emails much easier. Pay $19, and take all the advanced features & functionalities. We have discussed all the best user management PHP script that is really helpful for you to manage all your user’s related details at on place. These products are completely responsive, fully flexible and cost-effective which really comes under your budget. Hope this blog might be helpful for you. So, try these products for a once share your experience & thought with us via a comment section below.